Katy Stewart pulls back the curtain on Mozambique's cinematic heritage of revolution and innovation. Mozambique has a fascinating cinematic heritage, with an international cast of characters including Jean Rouch, Jean-Luc Godard and Ruy Guerra, a truly revolutionary history, and a drive for constant innovation. This is the country where Kuxa Kanema – the birth of cinema – was a project bound up with the birth of the nation itself. Perhaps more than any other African liberation movement, FRELIMO (the Mozambique National Liberation Front) saw the huge potential of film as a revolutionary tool to inform and mobilize the population. During the 1960s and early 70s, in the long years of struggle for independence from Portugal and with opposing independence movement RENAMO, Frelimo attracted filmmakers from around the world and especially, due to a shared Marxist-Leninist ideology, from the Soviet Union. 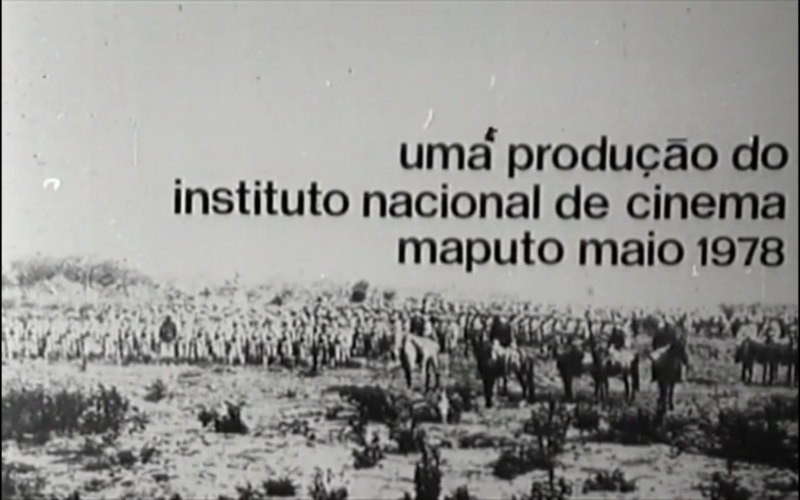 Short documentaries and newsreels were produced, supporting Frelimo’s aims, both for distribution within Mozambique and in the Soviet Union. In this period, films were very much considered in terms of their ideological potential as tools of the revolution, along the lines of the Marxist Third Cinema then developing in Latin America. Didactic in tone, their aim is very clear: extol the virtues of the leaders (particularly of Samora Machel, who took over the leadership after the assassination of Eduardo Mondlane in 1969) and create a call to action for people to join the armed struggle. These films are rare and hard to find nowadays: many archived within Mozambique were obliterated during the long years of revolutionary and civil war. Thanks to the archiving of certain Soviet-produced films within Russia and the more recent digitization of them, tantalizing snippets of this revolutionary output can still be discovered. One of the more well-known is the 1971 film Viva Frelimo!, a 13-minute short directed by Leonid Maksimov and Yuri Yegorov. It was immediately after independence in 1975 that a home-grown national cinema really began to take shape. Samora Machel, then the newly-appointed president, founded the INC, the National Film Institute, and film production was a priority in the nation-building process. With the help of film veterans from Cuba and Brazil, including Ruy Guerra, one of the pioneers of Brazil’s Cinema Novo movement, who had in fact been born in Mozambique. The INC set up training programs and opened up whole new careers in film to Mozambicans. The remit was largely a continuation of the newsreels and documentaries that had gone before, exemplified in Camilo de Sousa’s Estas são as armas (These are the Weapons, 1978). For Frelimo, now the ruling party of a largely illiterate country at war with neighboring regimes, film was an essential tool for maintaining public support and building a utopian vision of the future. ‘Kuxa Kanema’ was the name given to a cinema journal which was widely distributed for a number of years from the early days of the INC. The name reflects the optimism, the intellectual and artistic passions, and the close links with nation-building that cinema had during those years. Portuguese director Margarida Cardoso made a superb film in 2003, entitled Kuxa Kanema, which is essential viewing for anyone wanting to know more about the extraordinary film projects which took place in Mozambique during those early years. This immediate period of post-revolution was certainly an exhilarating time, and one which also led to creative divergences. In 1978, Guerra was director of the INC, and that same year, Jean Rouch, who already had quite a history of filmmaking in Africa, and Jean-Luc Godard both came to work with the INC by government invitation. The two worked on rival projects, Rouch with Super 8 film, Godard with video. While they employed Mozambicans on their respective projects, their work with these different formats were personal experiments above all else. For Rouch and Godard, Mozambique offered an unparalleled opportunity to see what could be done with film at the birth of a national cinema. 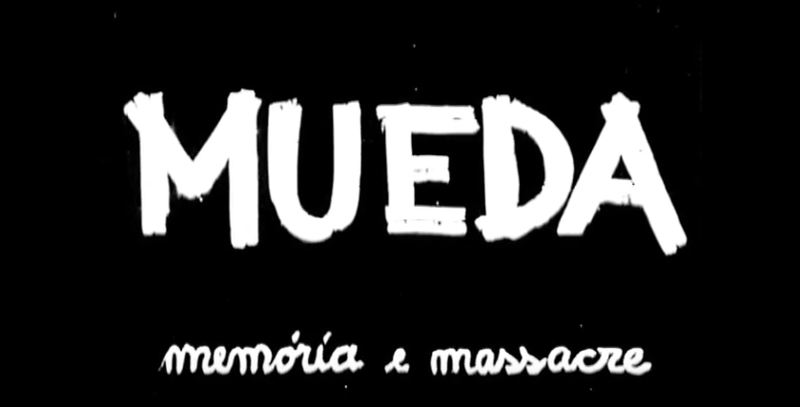 In 1979, Guerra made Mozambique’s first feature film, Mueda: memória e massacre (Mueda: Memory and Massacre), which demonstrated the potential for Mozambican cinema beyond short newsreel and documentary production. Rouch and Godard’s projects, meanwhile, were not great successes. However, for encouraging the innovative and creative use of technologies, particularly video, this coming together of three great filmmakers at the same place and time put in place some of the distinctive features of Mozambique’s national cinema. Licínio Azevedo, a Brazilian who also arrived in the late 70s, and who is today Mozambique’s most prominent film director, saw the potential of video as a cheap, easy-to-distribute form of filmmaking. Primarily a documentary filmmaker, thanks to his training at the INC, he has more recently directed two feature-length fiction films, Virgem Margarida (Virgin Margarida, 2013) and O Comboio de Sal e Açúcar (The Train of Salt and Sugar, 2016) films which represent and start to deal with some of the unspoken traumas and tragedies of the post-revolutionary and civil war period. 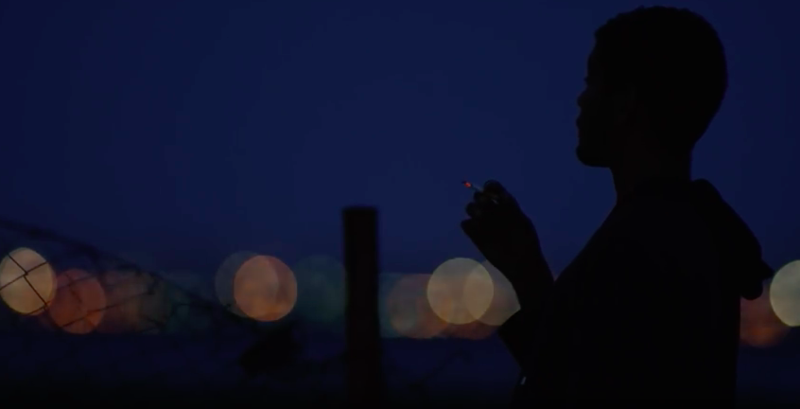 During the Kuxa Kanema period, it wasn’t just foreign filmmakers coming to Mozambique; Mozambican filmmakers also travelled abroad on fundraising drives. One of the most notable was producer Pedro Pimenta and director Camilo de Sousa’s trip to the USA in 1981, where they exhibited and distributed films and gave numerous talks and interviews. This was in order to raise funds and obtain film equipment to support the INC’s mission. The INC had begun from nothing: every projector, every camera, every printer had to be sourced, and a significant amount of funds were needed to keep film production running. But this determination meant that Mozambique created one of the only fully-functional film production facilities on the African continent at that time. For a country actively at war and trying to build a nation from the ground up, it’s an achievement that is hard to overstate. The go-getting, innovative spirit which led to the creation of film production on Mozambican soil still dominates Mozambican cinema today. In part, this is because those who were there from the start – Ruy Guerra, Pedro Pimenta, Camilo de Sousa, Licínio Azevedo – continue to hold central positions at the INC and within Mozambican filmmaking today. But younger filmmakers are also emerging, who use online crowdfunding platforms and commercial gigs in order to raise the money to make their films. Mickey Fonseca and Pipas Forjaz are two young filmmakers with global ambitions for Mozambican cinema. They are currently crowdfunding to make their first feature film, Resgate, and have their own production company, Mahla Filmes. As Fonseca says in his video, making films in Mozambique is not easy, but as the digital age brings new opportunities, this country, with its unique cinematic history, surely has an exciting future.